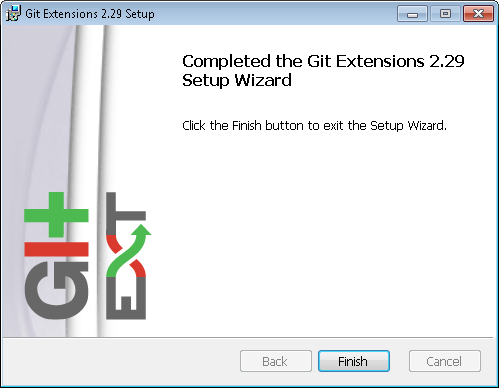 Git Extensions is an open-source project provides graphical user interface for Git that allows you control Git without using the command line. 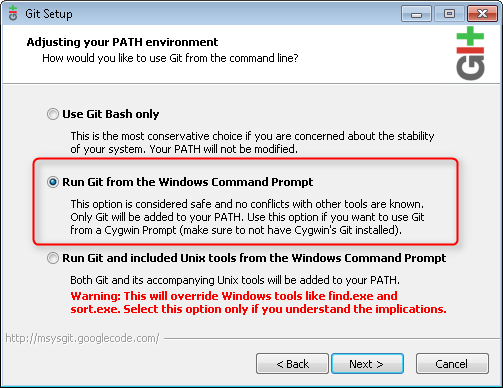 It's download includes msysgit - implementation of Git for Windows. 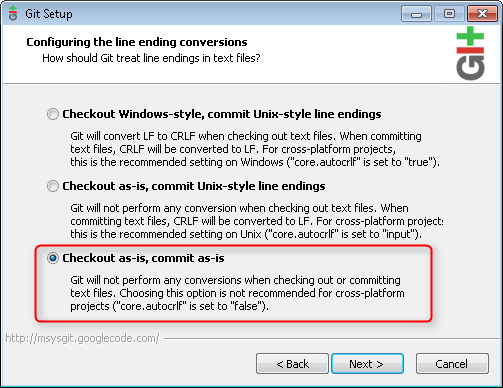 Since Git Extensions is only graphical tool, it requires Git installed. 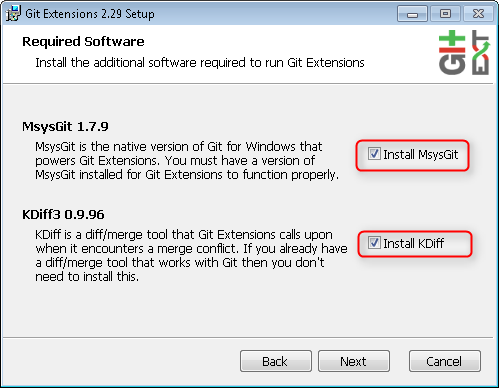 If you are not sure you have proper git installation, just select option "Install MsysGit". 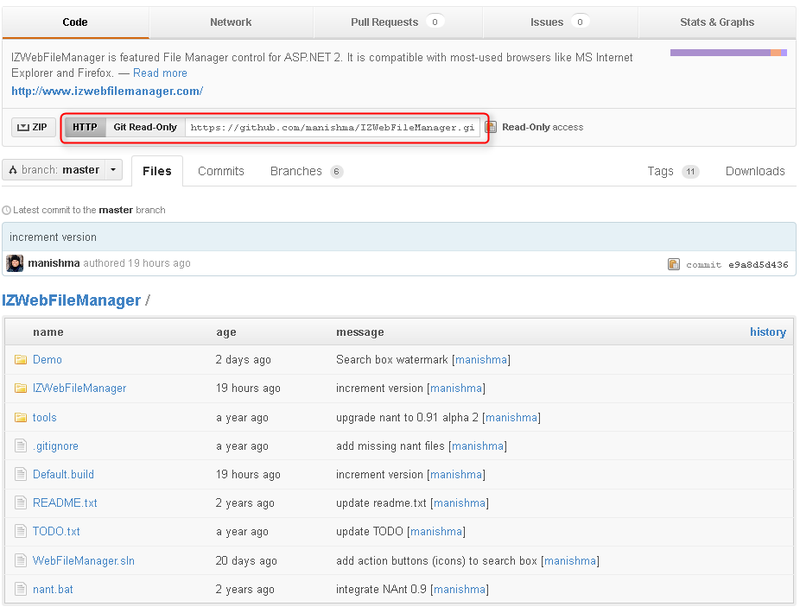 KDiff is a diff/merge tool, not the best one, but free. I recommend you select it as well. Ensure you select "PuTTY". It is an easiest way to work with SSH on Windows. 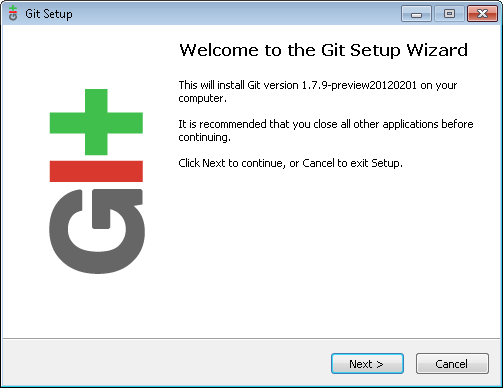 Go next till you get MsysGit installer running (as part of Git Extensions installation). Select following settings during installation (it is can be changed after installation). Finally you get "Complete installation" page with "Finish" button. Congratulations! 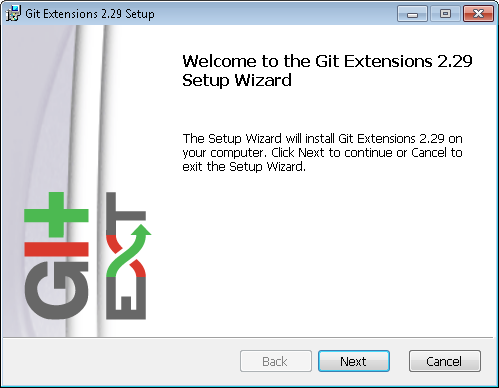 You have Git and Git Extensions installed. Run it! That's it. 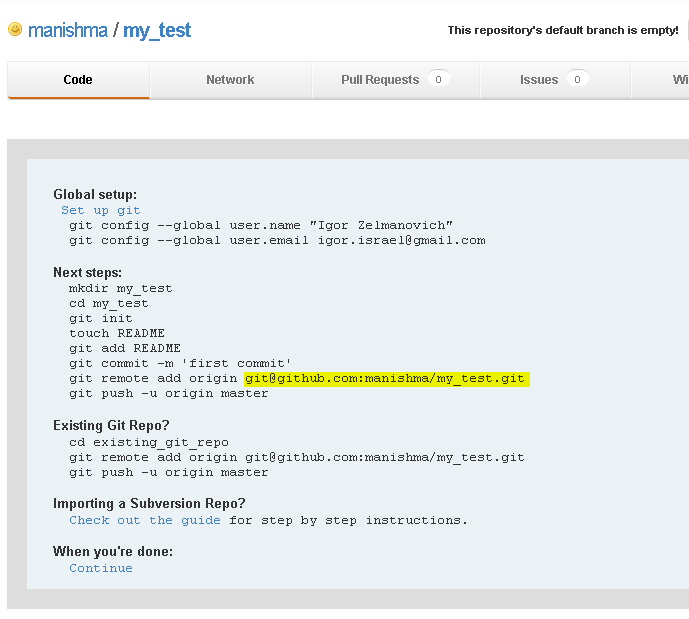 Now you are ready to work with Git repository. Go to https://github.com/signup/free to set up you free account. Registration process is very simple. If you already have GitHub account, skip this step. Once you have an account at GitHub, log in and go to your account SSH keys configuration page https://github.com/settings/ssh. If you first time here, you have an empty list. Now it is time to create your SSH key. You may follow instructions from GitHub, but I want to show you my way. 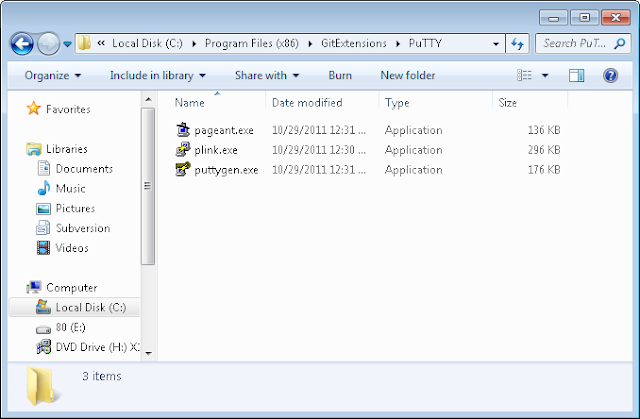 puttygen.exe - PuTTY SSH key generator. 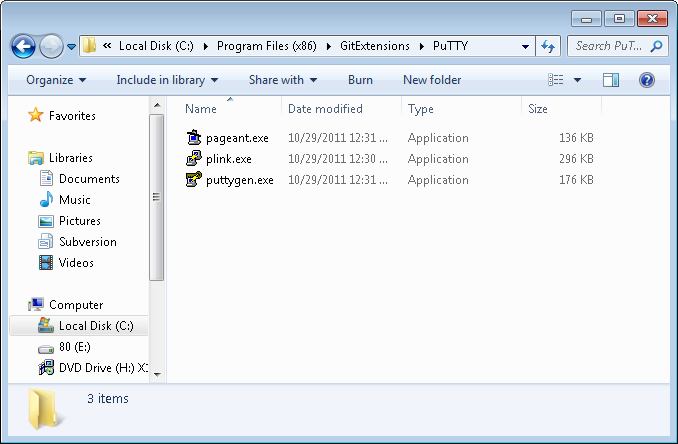 Run puttygen.exe, click "Generate" button and move mouse over black area while progress is displayed. This way you generated your SSH key. Now save private key (you may select passphrase (password) if you want). Note: you have to keep you private key in secret. 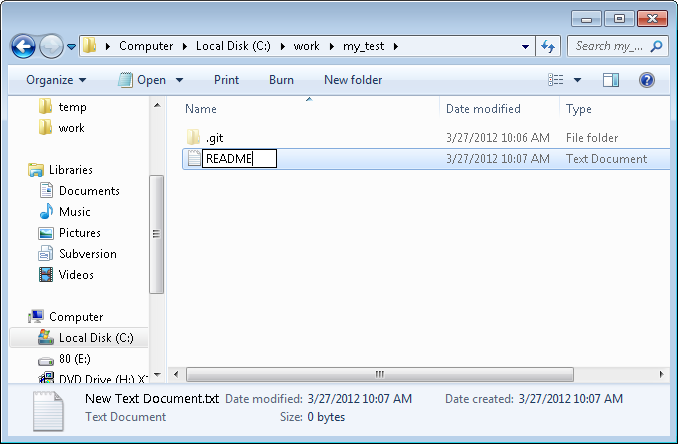 Copy text from textbox above - it is your public key. This is what you put into your GitHub account. 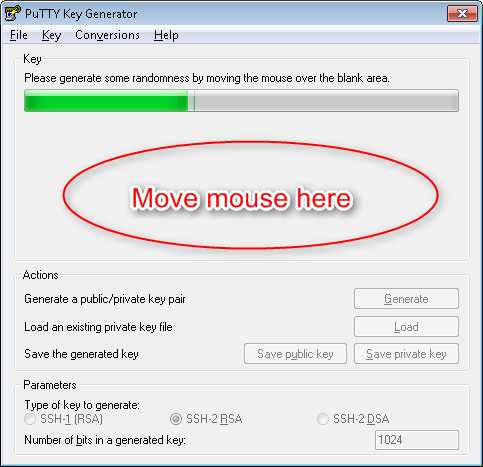 You can always get this public key by loading your private key in puttygen. (File > Load private key). Not it is time to come back to GitHub https://github.com/settings/ssh. Creating repository is very simple. 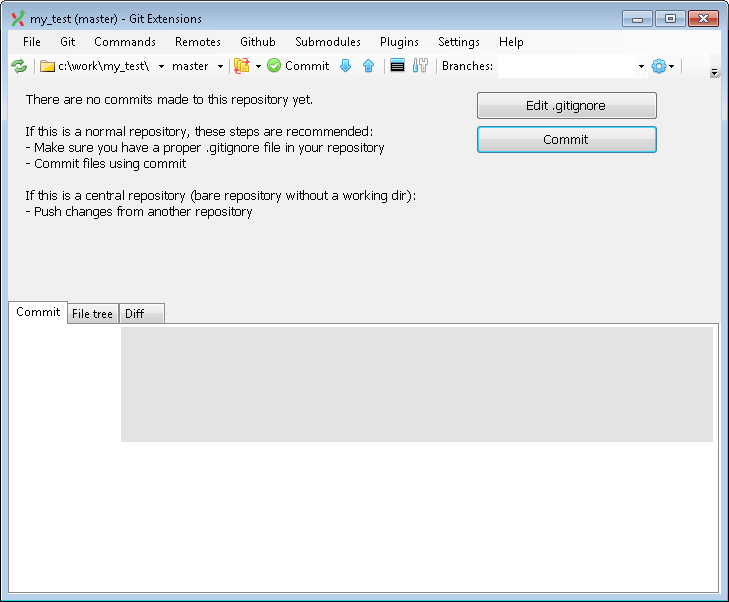 From main page (https://github.com/) click "New repository", fill the form and click "Create repository" - you will get instructions how to set up Git. You may follow this instructions, or follow my way I used to go. Working with GitHub repository with Git Extensions. 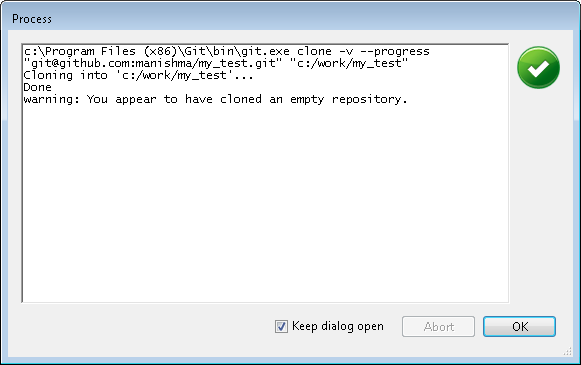 Open Git Extensions and click "Clone repository"
Fill repository url and destination. Then click "Load SSH key". 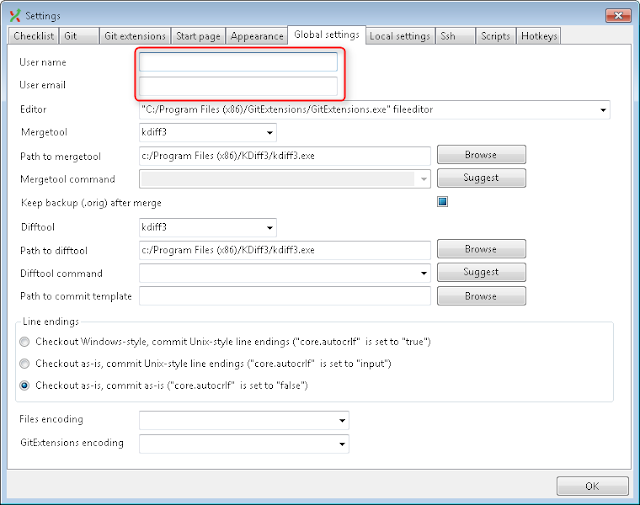 Select you previously saved private key and click "Load". It might prompt password, if you set up one when saved the private key. 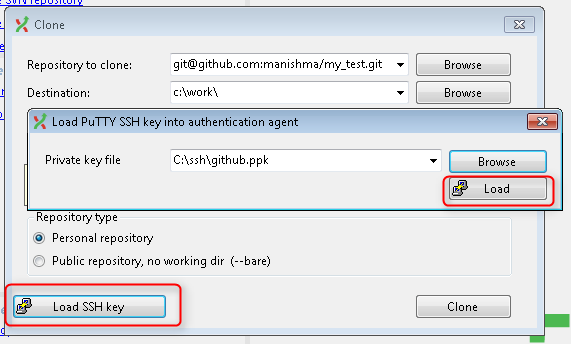 Loading SSH key required for authentication against GitHub. Click "Clone". 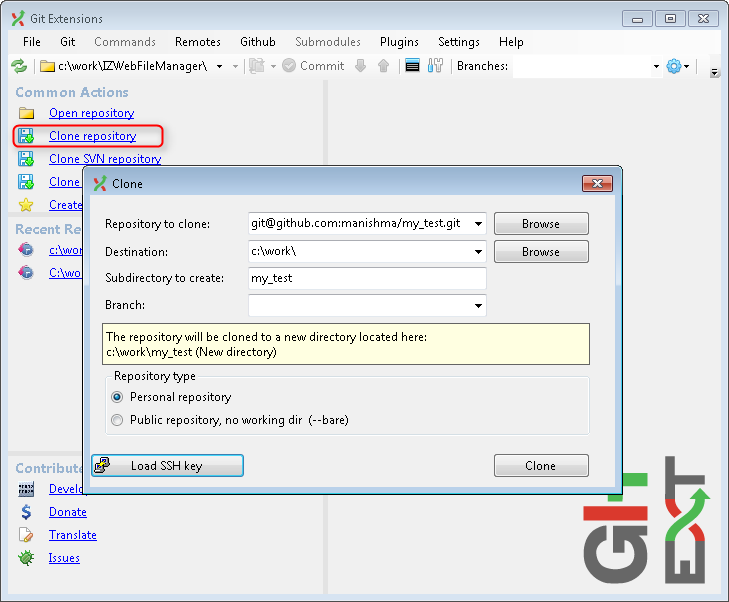 Git Extensions will create destination directory and initialize local git repository there. Click "OK" - it prompts with "Open repository" dialog. Such screen you will see each time you clone an empty repository. Lets do some changes. 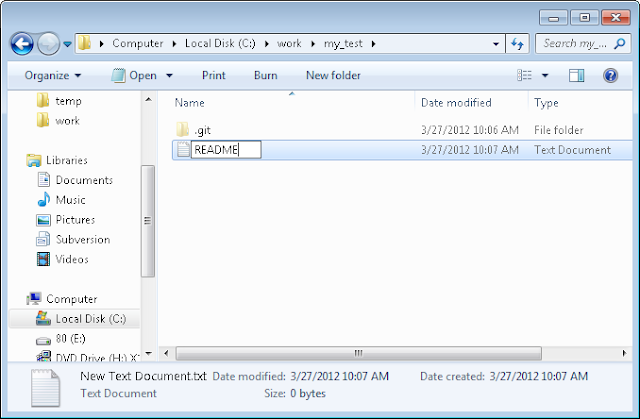 You will see there .git folder. Don't modify or delete it. This is actually Git repository. All files and folders beside are only current checked out branch. 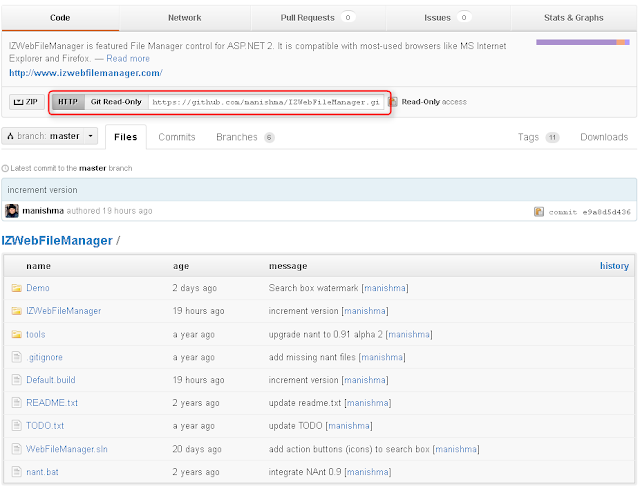 Our newly created file have no persistency in repository, Click "Stage" to "fix" it. 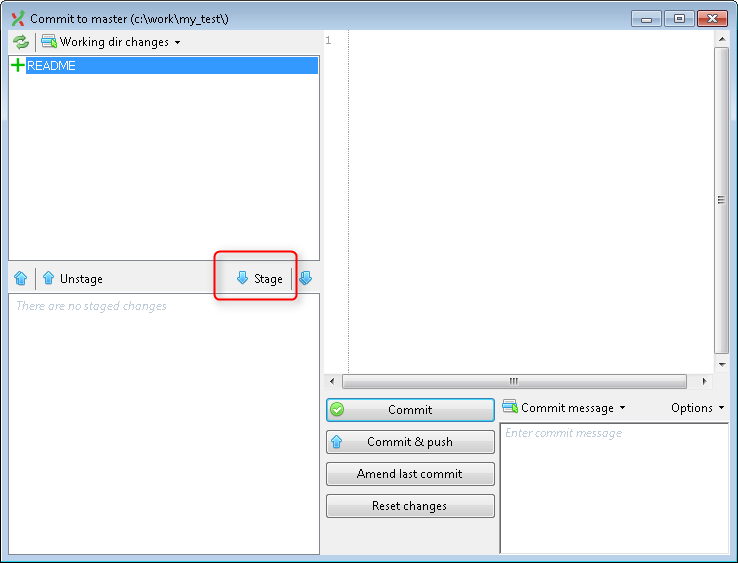 Now it is ready for commit. 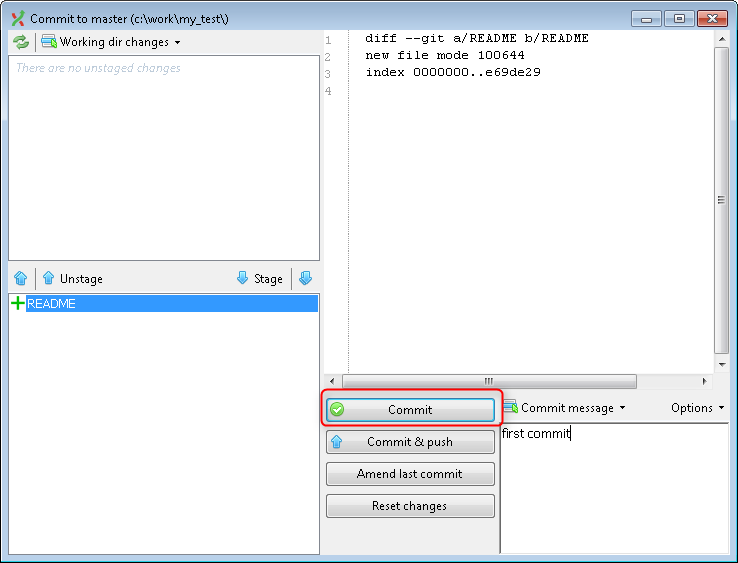 Put commit message and click "Commit". Git Extensions shows this first commit in our local repository (red colored label). But it is not all. 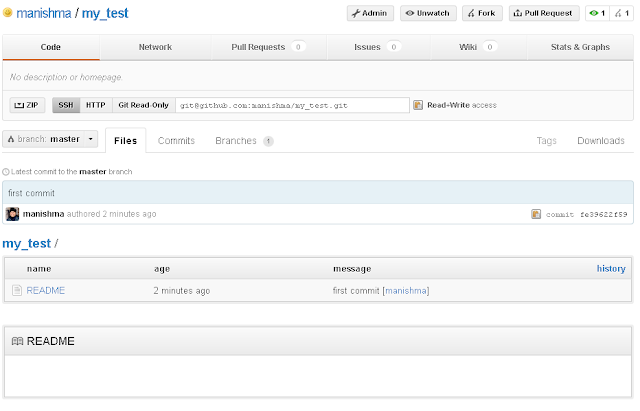 Since this is our local repository, we have to deliver our changes to remote repository at GitHub. 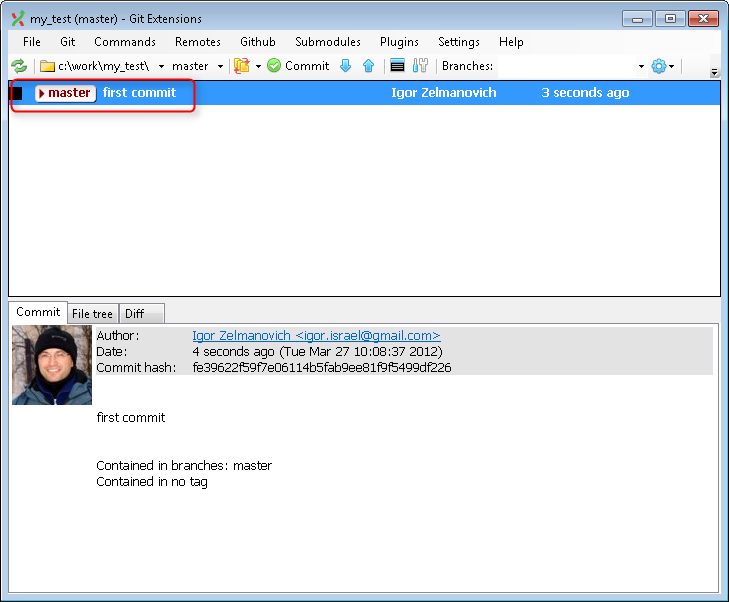 All further commit with this repository are similar to first one. You make changes, stage them, commit and push. If you want to clone some public repository from GitHub, you have to follow the same steps as you clone your own repository. The difference is in repository url. To obtain repository url go repository page. 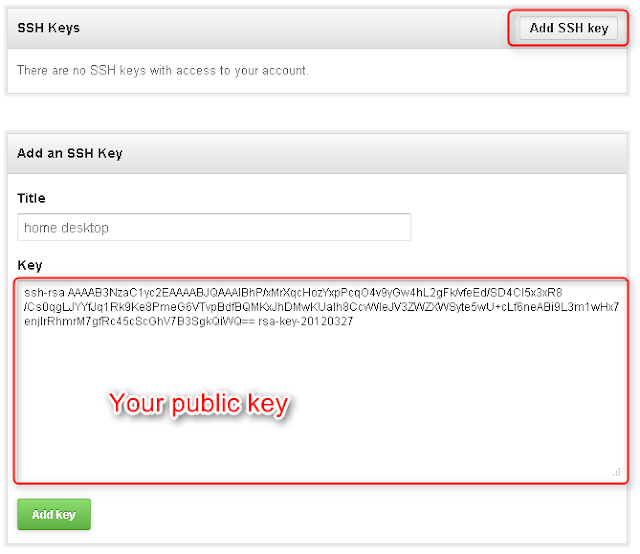 In case you select read only access url, you even don't need to configure SSH key. (You still need it for read-write access). It happens if your SSH key has not been loaded yet. 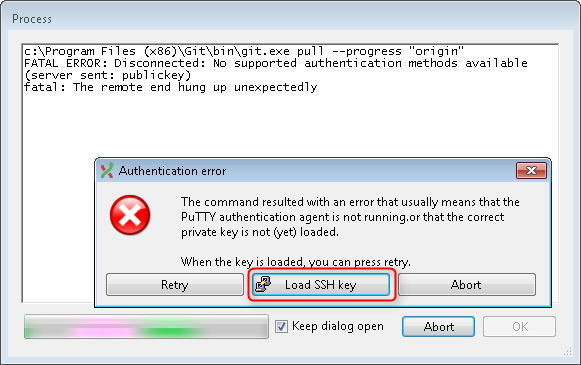 Don't panic, click "Load SSH key", select your SSH private key and then click "Retry". If you have any questions, please put your comment here.